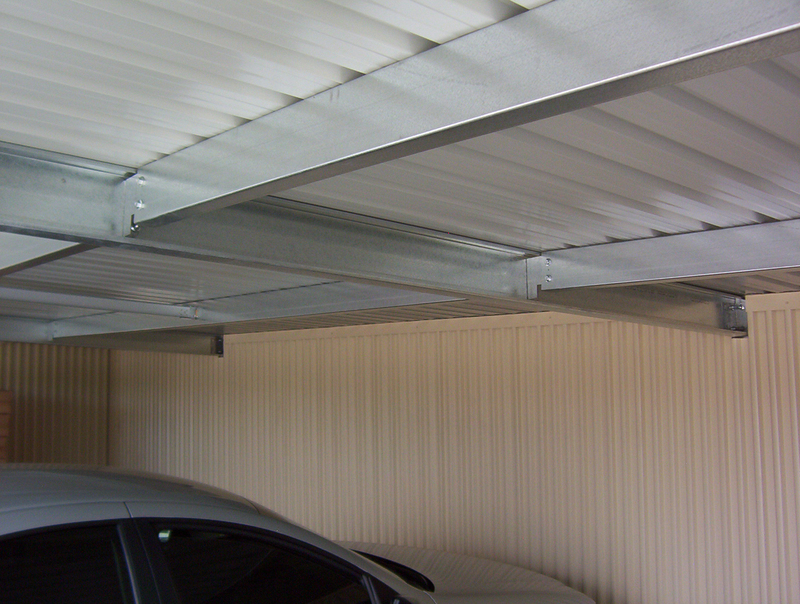 Perhaps it’s not the prettiest carport you have ever seen but this commercial carport is just the thing to protect your employees’ cars or your own company’s fleet. It’s also built with the same careful engineering and eye for detail that you would expect from Outside Concepts Sydney West. 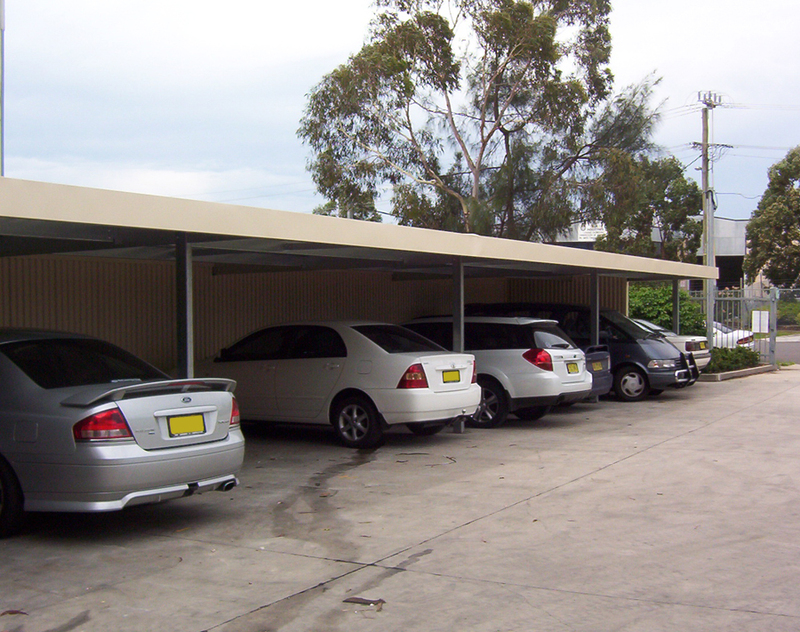 Constructed in Colorbond steel – galvanised steel beams and posts with Colorbond wall panels and roofing sheets, this commercial carport can accommodate a total of 11 cars. Each bay is a generous 5.2 metres wide and posts are positioned to ensure minimal disruption to the opening of car doors. The wall of this carport was built along a property boundary and therefore in order to meet the Building Code of Australia regulation for Class 7 structures required the inclusion of a fireproof wall. This was designed and engineered to meet the regulations and constructed from Colorbond Trimdek and Firecheck plaster board. Under this solid well-built carport each vehicle is provided full cover from the enclosed walls and roof. Hail, torrential rain and beating sun are no threat to the cars parked within. So if you have a commercial property and require a carport, patio, deck or verandah, look no further than Outside Concepts – the outdoor living specialists. 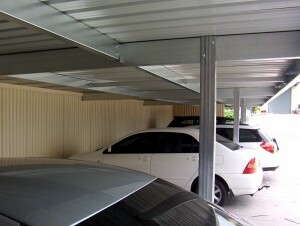 Call Outside Concepts Sydney West today on 0419 398 834 or follow the link below to our website.